Minto Sun City, Tampa FL invites visitors to explore Sun City Center on its Stay & Play Getaway package. This package includes three days and two nights in a furnished Minto home, gourmet dining at Club Renaissance, full access to all resort recreation and a private golf cart for getting around throughout your stay. Quail Ridge Golf & Country Club, Boynton Beach FL extends an Invitation to Stay & Play, and enjoy club activities and amenities just as members do. The complete package is $399 per couple, $299, single. A community tour and preview of available homes will be scheduled. Golden Ocala Golf & Equestrian Club, Ocala FL invites winter visitors to Stay and Play in a luxury residence enjoying amenity specials designed exclusively for Play and Stay guests. Accommodations are now offered at 10 percent discounts on regular rental rate. Reynolds Plantation, Greensboro, GA and its on-site Ritz-Carlton Lodge are offering a Fairways and Greens stay-and-play package, good through Dec. 30. Starting at $539 for two golfers sharing a guestroom on weekdays, or $629 per night weekends. HR Properties invites you to schedule a visit for lunch, a day or longer – we have rentals! - and discover Harbour Ridge: our 2 golf course designed by Pete and PB Dye and Joe Lee, Yacht Club and St. Lucie Riverfront marina, tennis courts, new lifestyle center, community pool and dog park. Palmetto Dunes, Hilton Head Island SC is offering a Group Golf Getaway for visits between Sept. 24 and Oct. 18. Groups of 4 or more can stay 4 days/3 nights for $519 per person, which included the luxury 2-BR villa lodging, three rounds of golf, preferred rates and access on other activities discounts on golf merchandise. Book by Oct. 1 and receive a fourth round of golf free. Kiawah Island, SC presents its Sanctuary At Kiawah Island Resort 3-night Escape with golf on the Ocean Course.You and your guest will stay 3 nights in a sanctuary-garden view room at The Sanctuary Hotel at Kiawah Island Resort. Reynolds Plantation, Greensboro, GA presents its Traditions Package, starting at $279 per person per night. 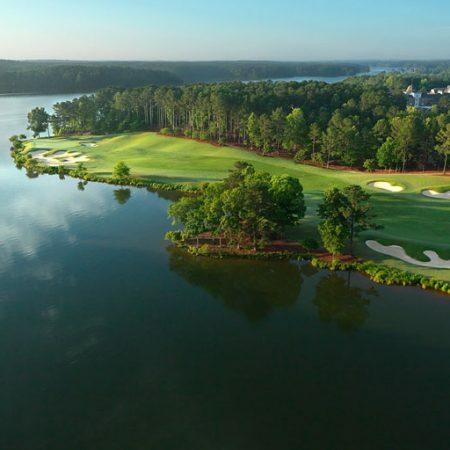 Play your choice of Jack Nicklaus’ famed Great Waters, Jones’ Oconee course, Fazio’s award-winning National course or Bob Cupp’s dual masterpieces. It includes deluxe lodging in a Reynolds Plantation cottage or condo, Southern-style breakfast daily plus access to practice complex. Harbour Ridge Yacht & Country Club, Stuart FL presents Stay & Play At Harbour Ridge, a visitation package designed to save you from 20 percent all the way to 100 percent on the cost of your stay.